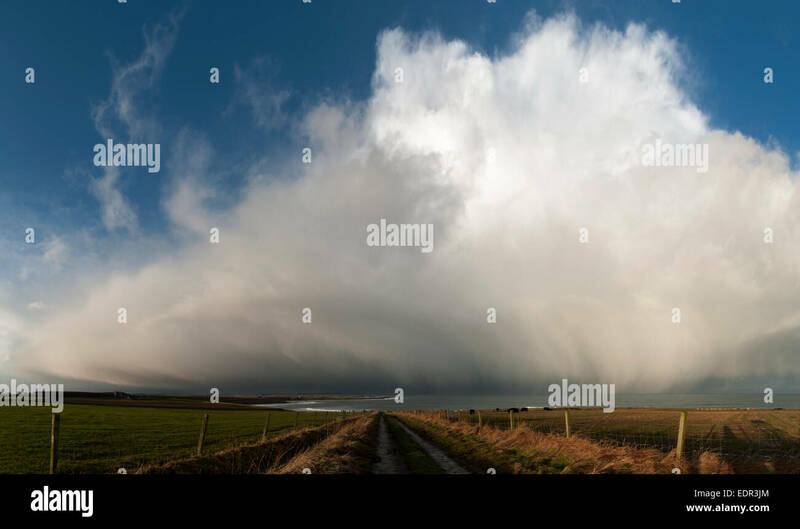 Storm cloud over the Pentland Firth, approaching the north coast of Caithness, near of Mey. Scotland, UK. Caithness, UK. 08th Jan, 2015. Storm cloud approaching the north coast of Caithness, Scotland, over the Pentland Firth. Hidden below the cloud is Dunnet Head, the most northerly point of the UK mainland. On the left is the Castle of Mey, the former Caithness home of Queen Elizabeth the Queen Mother.